Steven Drake hopes to fill his crew cab on opening weekend of Antelope season. After three weeks of countless spot and stalks on Montana speed goats my patience and motivation was wearing thin. It was my last evening of hunting before college started and the pressure was on. In a last ditch effort I snuck down a coulee on a barren piece of public land. I failed to spot any goats before I headed in. Regardless, my hopes were high. Two large snake skins and a musky smelling puddle of urine had me on full alert as I crawled my way down the coulee. A half mile into the section I poked my head out to take a look at the surroundings. I spotted a mature buck bedded on a hillside about two-hundred yards away. It was time to try my luck at flagging. I ducked back into the coulee, pulled out a white tee shirt from my pack, and held the shirt in the air as to get the buck’s attention and hopefully spark his interest. Sure enough, he zeroed in on the white shirt and began running right towards me. Right then, adrenaline started pumping through my veins, my heart rate spiked, and my breathing became rapid and somewhat uncontrollable. The buck came to a screeching halt one-hundred yards out. Out of the corner of my eye I spotted two alert does walking right at me. In all the excitement of having the buck run in, I failed to nock an arrow. With the two does closing the distance fast, I shoved a sleeve of the flagging shirt in my mouth, nocked an arrow, and put the rangefinder on the does. As steady as I could, I drew my bow. The lead doe took four more steps and turned broadside. She was well within my effective range. With the shirt still dangling from my mouth, I settled my pin right on the kill zone. Instinct took over. My trembling hands steadied. 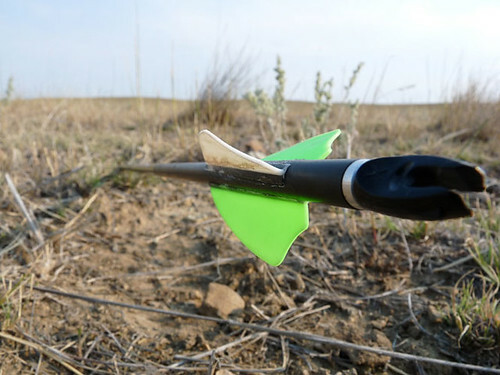 I touched the trigger on my release and sent an arrow towards its final destination. 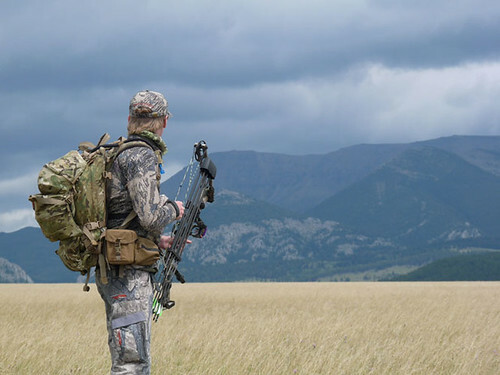 Experiences like this are what archery hunting is all about. It’s an extremely challenging, yet thrilling, sport. 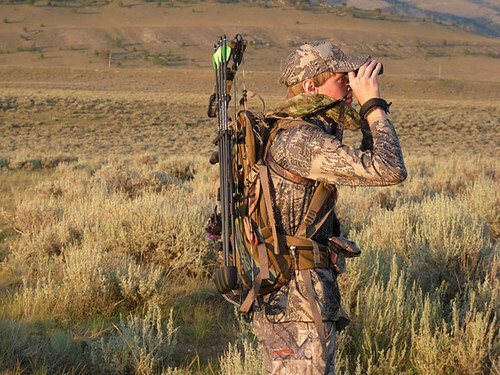 If and when the day comes that I do harvest an antelope with my bow, the sense of accomplishment will be out of this world. 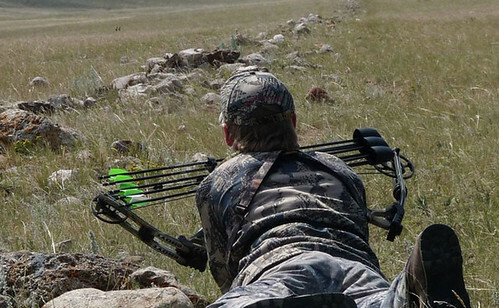 The 2009 archery season is young, anticipation and excitement is high, there are five arrows in my quiver eagerly waiting for a chance at a trophy. Any animal taken with a stick and string is a trophy.